Don’t miss the opportunity to visit the exhibition of the 18th century sculptor Lorenzo Bartolini. It has been extended up to January the 8th 2012, because of its great success. Focusing on Bartolini’s numerous plaster casts, owned by the Galleria dell’Accademia, Florence rightly dedicates him an appealing exhibition to highlight his high-ranking production which has significantly marked the19th century sculpture in Italy and Europe. The masterworks on show turn around the19th century main issues such as feelings, memory, ethical and civil values. The due homage to the artist who, in spite of his French experience, always felt a strong link with his motherland. Born in 1777 in the outskirts of Prato, Bartolini had his training at Florence Academy before leaving, at the end of the18th century, for Paris. Here he studied painting under the guide of Federic Desmarais whose destiny, like Bartolini’s, would be involved with Carrara Academy,as vice president, thanks to Elisa Baciocchi, Napoleon’s sister. Paris, capital of art, and Carrara, iconic marble site, cross through an artistic liason. A curiosity: the visitors of the most Parisian Place Vendome hardly know that Bartolini executed parts of the bas-relief of the Battle of Austerlitz, decorating the column domineering the octagonal square. Napoleon was crucial to Bartolini’s art. He was the Italian counterpart of the French painter David, being the quasi-official portrait sculptor of the Bonapartes. 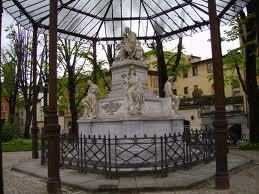 Even after Napoleon’s fall, Bartolini ‘s fortune continued thanks to his sister Elisa Baciocchi. In fact the Italian sculptor would later come to direct the Carrara Academy of sculpture, in spite of the local artistic opposition. The exhibition variously includes the stylistic features of Bartolini . On show the neoclassical period including the Bonaparte commissions such as the bronze of Napoleon the 1st directly coming from the Louvre and Elisa Napoleona from the Museum des Beaux Arts in Rennes. The art of Bartolini’s enriches itself into a wider perspective, deepening down into a new psychological subtlety, here witnessed by the portraits of the international intellectual milieu of the Grand Tour, such as M.me de Stael, Byron, Liszt, the Marquis of Londerry, the Demidoffs and Poniatowski. Bartolini progressively abandons the neoclassic academic taste in favour of a closer imitation of nature. A good example is the Ammostatore, featuring a young boy treading grapes who reminds us of the stylistic elements of Verrocchio and Donatello. The statue paves the way to his most famous work ” Fiducia in Dio” executed in 1835 for Rosina Poldi Pezzoli who meant to express, through the commission, her faith after her husband’s death. The result is a naked young woman crouching in an attitude of a deep and secret devotion with hands joined in a prayer. 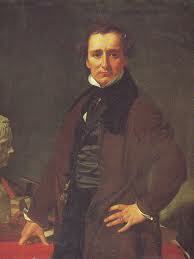 It will pave the way to a work of 1845 the Ninfa dello Scorpione much appreciated by Baudelaire himself.